We meet on Thursdays in SPX 178 at 5PM! 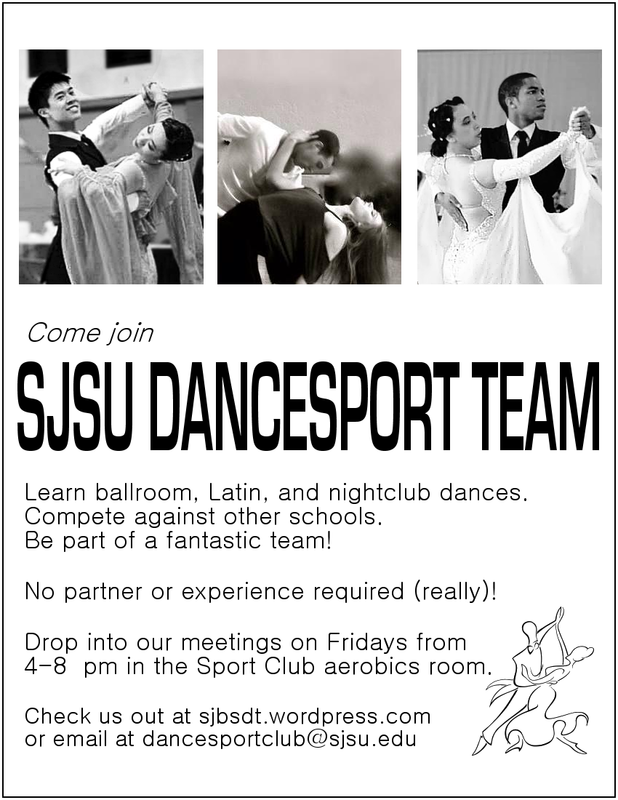 We also meet at 4pm every Friday afternoon in the SJSU gym (Sport Club) in the aerobics room (unless otherwise listed). The first meeting is Friday, August 28th, but new members (or potential members) are welcome to drop by at any time. Halfway through the semester and you just decided you’re interested? It’s not too late to come by!